We’re at the opening of this year’s Nokia World event at ExCel in London. Join us as we see what the company has up its sleeve to announce at its biggest press event of the year. It’s been confirmed that we’re going to hear about Symbian, not the company’s newer Meego OS. 8:54am: Very soothing, ambient music playing as we await the start of the event. None this upbeat Apple-esque nonsense for these coolheaded Finns. 9.00am: We’ll be starting a little late, we’re told. People still filtering in at the back, with the stage still empty. The start can’t come soon enough – the music loop playing features a rather disturbing sound like an aeroplane crashing which disturbs the peaceful ambience every few minutes. 9.15am: Still waiting and we’re 15 minutes late now. People still entering but at least they’ve turned the bass down on those ‘aeroplane’ noises. It was scaring people. 9.16am: Niklas Savander, Exec VP, Markets, takes to the stage. A nod of tribute to the outgoing CEO, acknowledgement that the new CEO can’t be here and we’re straight into a video. 9.19am: Savander “Nokia people follow their own path – they see opportunities even when times are tough… we help people grab life’s opportunities.” The event is sold out – 3000 people are here. Biggest fans and harshest critics – they want to hear from all of us. 9.23am: “We are not Google or Apple, we are Nokia. We are unique”. He’s digging at Apple – one device leads to compromise. Nokia will continue to offer a variety of devices. People bought far more Nokia smartphones than their rivals. 260,000 smartphones sold daily. 9.26am: They aim to ship 50 million Symbian^3 devices. 100 operators have signed up to sell the Nokia N8. 9.29am: Savander says Nokia, not Google, leads the mobile navigation market. He’s going over the benefits of Ovi Maps. Now available for 78 countries, 46 languages. 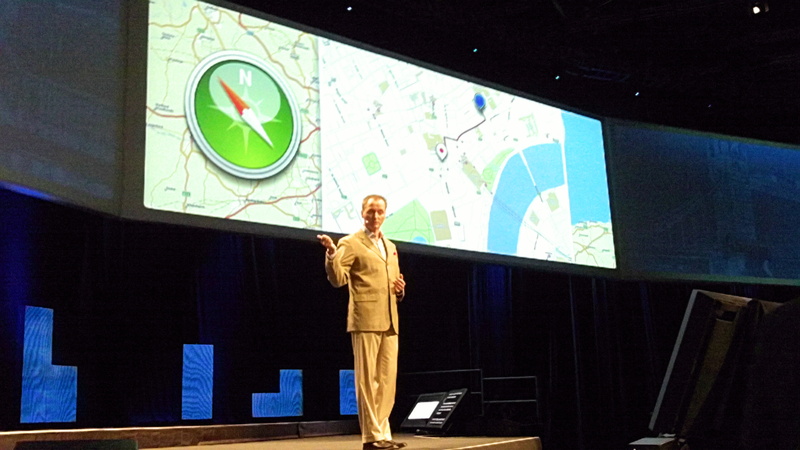 By 2013 more than 800 million people will have GPS-enabled devices. Soon, everything online will have a location element. Nokia intends to own this space. 9.33am: Savander ends with three words: “Nokia is back”. Anssi Vanjoki takes to the stage. 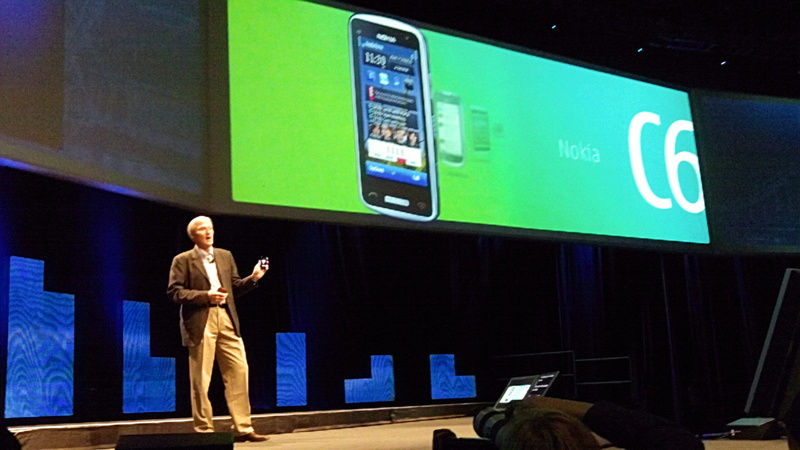 He’s dismissing critics who dismissing the N8 as “Same old Nokia”. They ignore what’s under the hood. He’s got some passion in his eyes here. 9.38am: Vanjoki: The N8 is an important milestone. Beautifully designed, new hardware but with “The familiarity of the new”. The N8’s preorders have been the biggest response to any of their hardware launches ever. 12MP camera is “non-compromise”. He shows off some photos – the certainly look impressive. 9.42am: He shows off an impressive clip of Tron Legacy in HD, played from the N8 via an HDMI cable. Full screen, great sound. Impressive. We’ll get a chance to take a look later. Vanjokie is giving a great performance considering that he’s already handed his notice in. 9.44am: Introduces the Nokia C6. Compact, 8MP camera, web TV. Ovi Maps now has social location features. Share locations with your friends and keep a record of your locations. Looks like ‘checki-ins’ for your own use. Has CBS – ClearBlackDisplay. Clearer, more vibrant colours, blacker,lower power consumption. 9.47am: Introduces the C7 – built for social networking, 3.5inch display. “one of the best combinations of design and services ever. Supports location sharing to a wide range of social networks. 9.49am: Ovi Maps now features pedestrian features and public transport navigation. 9.50am: The C6 and C7 launch Q4 2010. Promoting the launch via a Facebook competition. 9.53am: He moves onto the Nokia Communicator. 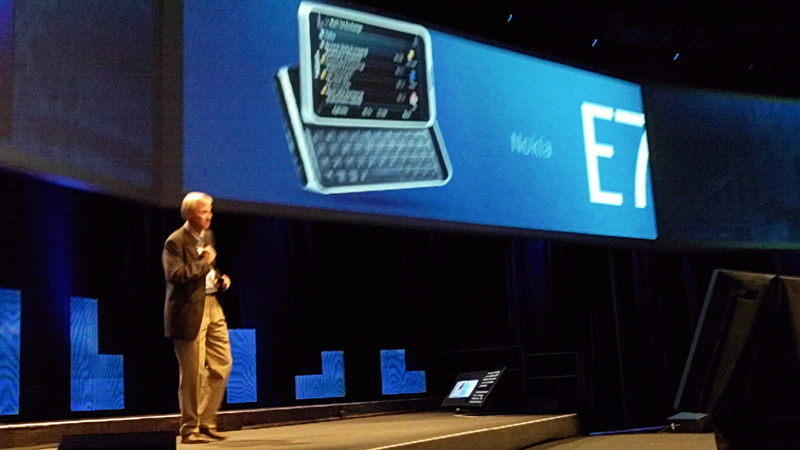 Recaps tyhe impact of the “first smartphone”, the Nokia 9000 Communicator. Today we finally see a replacement for the aging E90 – the new E7. “It’s big, but beautiful and all business”. 9.57am: Slide out QWERTY keyboard, angled touchscreen, 3.5″ display. Exchange support. Premium business class device. Read and edit powerpoint slides. Full Ovi services suite. “Best business phone ever”. 9.59am: Symbian is built for multitasking with fast device switching. 25 apps at the same time is not a problem. 10.00am: Vanjokia ends by rounding up the four big handsets: the N8 (al-rounder), C6, C7 (both social networking optimised) and E7 (business). “This is my last Nokia event” (we knew that!). He leaves to a big round of applause. 10:02am: Purnima Kochikar, VP, Forum Nokia & Developer Community, takes to the stage. “We have made a lot of progress this year creating a Nokia ecosystem that developers want to be part of”. 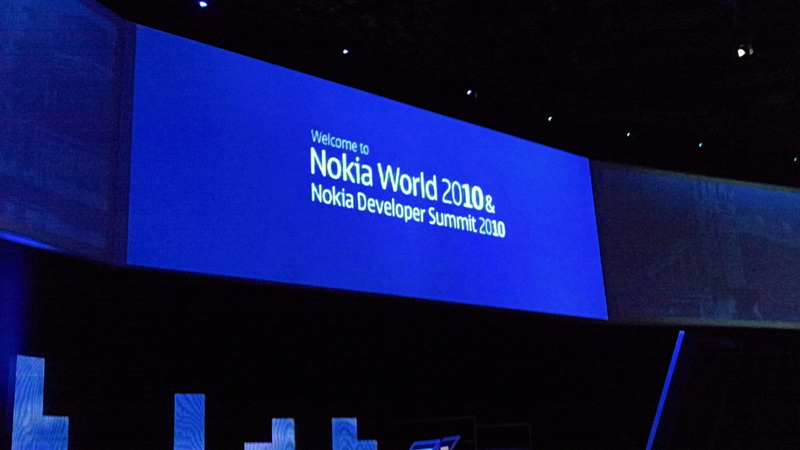 Devlopment has been simplified – devs have an improved return on investment with Nokia. “Out goal is to improve the health, wealth and education of our users and bring them joy”. Awww… Examples of how apps are helping people around the world – helping African mothers check for counterfeit drugs. 10:10am: She’s imploring developers to embrace Series 40 as it supports Java – largest worldwide market for apps. 10:11am: Nokia is now offering a touchscreen Java SDK for Series 40. Released today at Forum Nokia. Will bring apps “to the next Billion” users. “Truly exciting” opportunity to break into new markets for apps. 10.16am: Smartphone development: 45 million smartphone userbase plus aiming to ship 50 million more. Developing has never been easier – native and web. 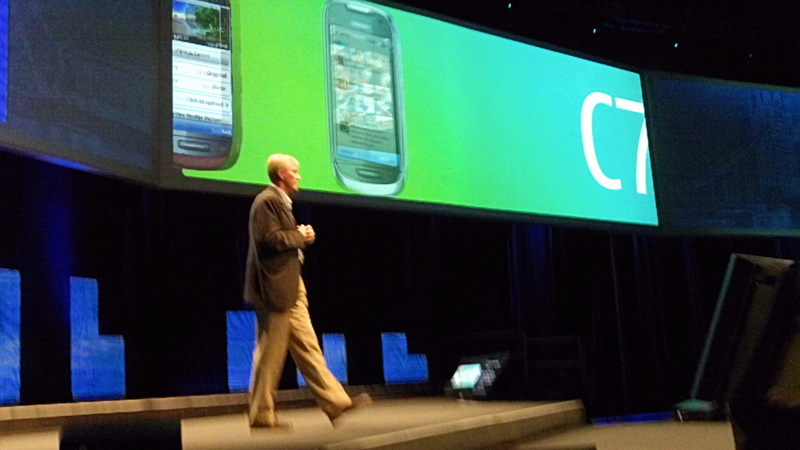 Natively via Qt SDK – 70% reduction in lines of code, compatible with all Nokia devices. Developers can also develop via Symbian Web Runtime for web-based development. 10.17am: She moves onto the new Nokia web browser – supports web apps and optimised for touch. huge reach for web apps with Nokia phones. 10.18am: Showing some Morpho – a Japanese app that takes panoramic photos. Impressive shots. 10.20am: Ovi Store now available in 190+ countries, on 120+ Nokia devices, credit card and operator billing. 10.21am: App called Fizwoz was a featured app on Ovi Store for one week. When it launched an X6-compatible version, downloads shot up to exceed the number of iPhone downloads, across 167 countries. 10:23am: Nokia will no longer charge for Java app signing. A couple of small cheers around the room. 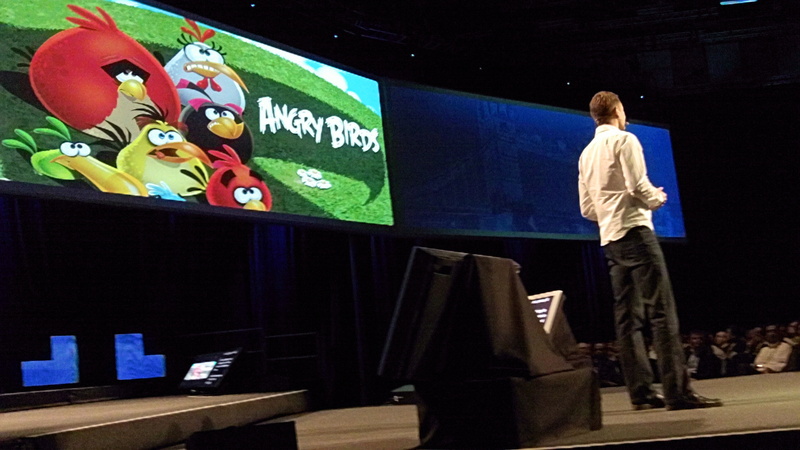 10:25am: Mikael Hed of Rovio, (AKA Mr ‘Angry Birds’) is invited onto stage. He gives up a talk about what Angry Birds is all about. He introduces a new bird to the game – the Mighty Eagle – via a cartoon on screen. 10.30am: If you’re stuck in a level you can use an in-app purchase to buy the Mighty Eagle. When deployed, it will autmaticaly clear the level. However, you can only use it once. If you want to use it again you will have to clear the level you originally used it on properly first. This is the beginning of “Games as a service”, Hed says. Angry Birds is coming to al new Symbian 3 devices, starting with the N8. 10:35am: Kochikar wraps up and that’s the opening keynote over!